This is not about fancy food fare. This salad accompanies almost any ‘inihaw” (grilled) dish that might be served during a fiesta or in my case, any gatherings at home. Easy to put together and never fails to liven up a table of food fare. I think this dish paved the way to my loving eggplants. This month’s KCC challenge (hosted by Elizabeth and Dudut) was to feature a regional “Fiesta” specialty of one’s province. I grew up in Quezon City and fiestas I only came to know (and sometimes attend) when I am a grown up already. But this refreshing ensalada (salad) is almost always present during parties thrown at home so I think it should count as the family specialty. The roasted flavor of the eggplant is the key that gives this dish a hint of the “ihaw” or charred flavor while the sili (chili) gives it a nice kick. Roast the eggplants directly over an open fire until charred or in the oven. Allow to cool. Peel the eggplants and discard stems. Cut the peeled eggplants into small chunks. Season with salt and pepper. Mix all other ingredients together and drizzle with Coconut Vinaigrette. Garnish with the remaining portions of the bell peppers and green finger chili. 1 gm. ginger, peeled and minced. Combine coconut cream, ginger, green finger, chili and vinegar in a bowl. Stir well. Trips with the family always involve a lot of eating. 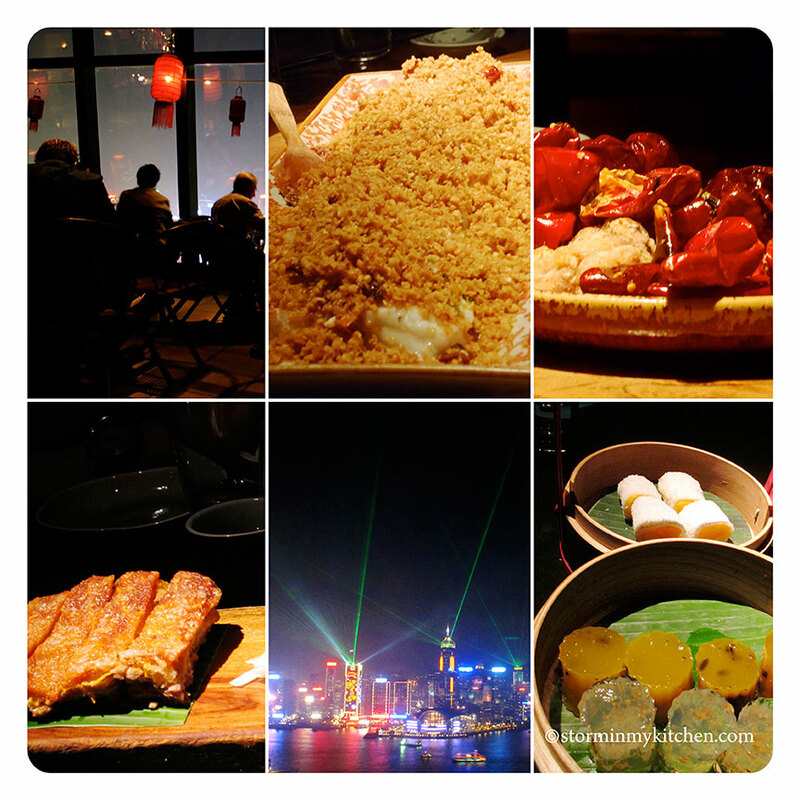 On our (not so) recent trip to Hong Kong, it was with no surprise that the entire itinerary focused on where to eat. A few good ones picked out from a 2-page list and reservations made even before we boarded. Yes, if there is such a thing as food geeks, that’s us. First stop was Hutong in Tsim Sha Tsui. The restaurant was set out to impress not only in the food department. It starts with a stylish old China interior and a view to die for from the 28th floor overlooking Victoria Harbor and the Hong Kong skyline. The dim interior creates drama and intends to highlight the city’s colorfully lit nightscape, particularly the nightly light show at 8pm. So try to get a table by the window for the best view. 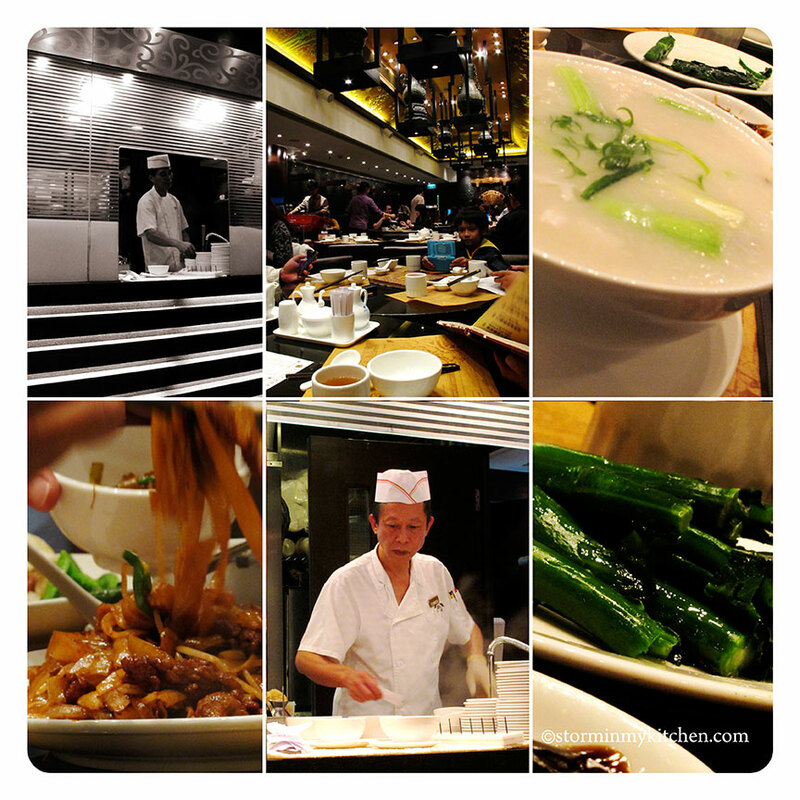 Specializing in traditional northern Chinese cuisine, the food is can be quite spicy. Make sure to order the Crispy De-boned Lamb Ribs, it is their house specialty and never disappoints. Its crispness resembles that of Peking duck skin and the meat slow-cooked to tenderness but still retaining the flavor of lamb. If you can handle the heat, their Red Lantern is a must try. Crispy chicken with Sichuan pepper bursts with great flavor and intense heat if you bite into the chilies. Even without touching the chilies, I can only eat so much. 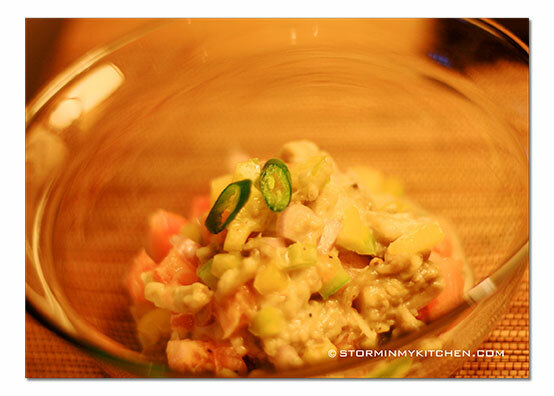 Another favorite is the Cod fish tossed with fermented bean and chilies. A friend invited for dinner at a different time I was in Hong Kong, we met at the Mandarin for drinks and walked over to The Landmark for what she said would be Japanese tapas. Given the prestigious address, I knew that it wasn’t going to be a cramped sushi bar but the interior still blew me away. Zuma has 2 levels with a grand spiral staircase that greets as one step out of the elevator. We took a table at the terrace where a garden surrounds. Memorable dishes include Seared Beef with a Yuzu-Ponzu dressing, Tuna Tartare with Miso, a Chicken Yakitori and a very yummy Green Tea Banana Cake with coconut ice cream. 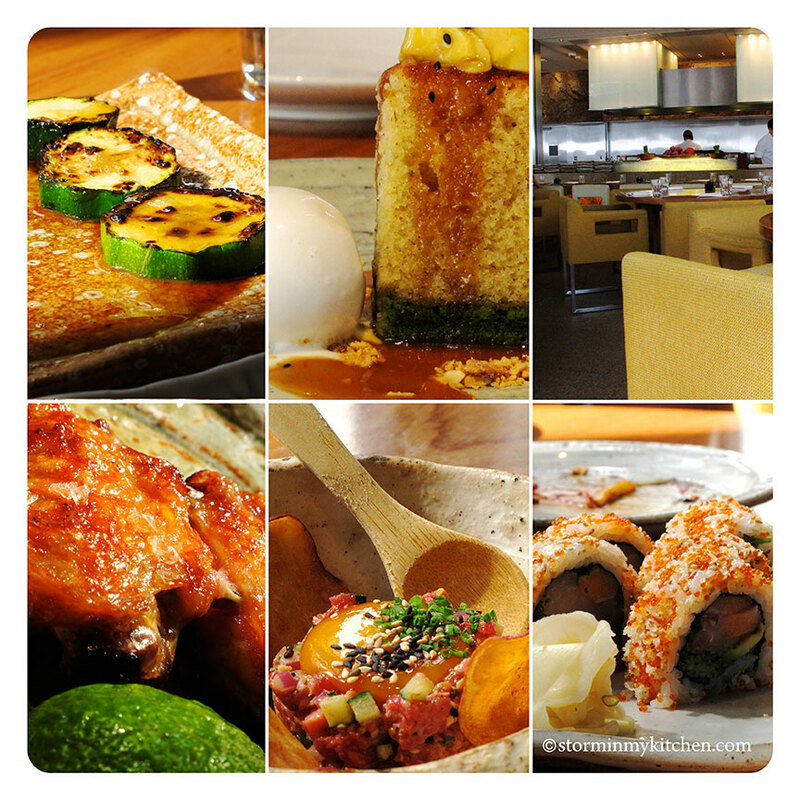 Authentic Japanese cuisine prepared non-traditionally and served Izakaya style – small dishes designed for sharing. Zuma boasts of a pretty good selection with a robota grill and a sushi counter. Second time around with the family registers the same satisfaction if not better. 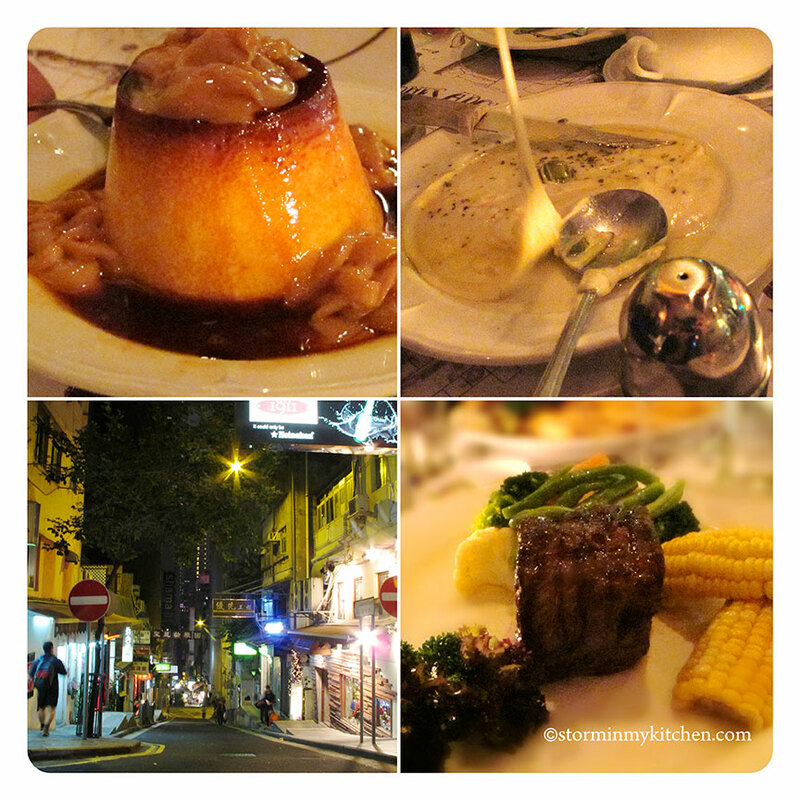 Clockwise: Flan con Dulce de Leche, Provoleta Cheese with Olive Oil and Herbs, Grilled Beef Tenderloin Steak (250g), the street of Soho in Central. Steak – is always on our radar. Our usual haunt is Morton of Chicago but this time around, we felt like a change. At the heart of SOHO in Central is a place where carnivores find pleasure. La Pampas specializes in Argentinean cuisine, particularly in steaks and grilled meats. Flown fresh from Argentina, the organic beef is tender and tasty. Other Argentinean dishes worth ordering from their menu include sausages, chorizo, and cheeses. And speaking of cheese, their Provoleta cheese with olive oil and herbs is a delightful starter and the Flan con Dulce de Leche, a divine cap to the scrumptious meal. Clockwise: Noodle and congee counter, stylish interior, my fish congee, Stir-fried Chinese Broccoli, The chef behind the counter, fried Beef Noodle. With the excessive feasting, it is just proper to take a rest and end with some congee. Tasty Congee and Noodle Wanton Shop should be your last stop to somewhat clean the system. Before taking the train to the airport, spare some time to go to the IFC Mall for some really good congee or noodles on level 3. If you prefer to head straight to the airport, head out to the food court of Departure east hall of the Hong Kong International Airport. This one Michelin star restaurant definitely does not disappoint. So good, it even got listed on the premier edition of the Miele Guide. So even if you don’t really need to “cleanse”, head out to one of their establishments for some “tasty” comfort food. Outside of their congee, we loved their Fried Beef Noodle, which we spotted from the table beside us. Dimsums and wantons are excellent too. 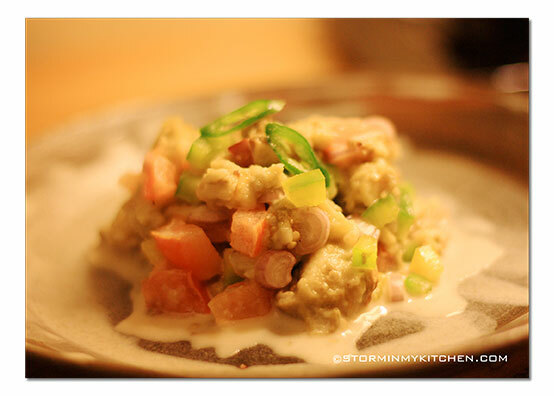 You are currently viewing the archives for May, 2012 at Storm In My Kitchen.